On the Gregorian calendar New Year's Day in Italy celebrates the first day of the year. This holiday transpires January 1st each year. 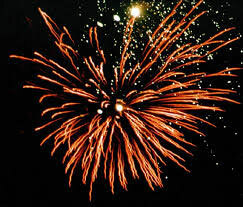 On this holiday, people mostly celebrate by lighting fireworks into the sky and eating popular Italian dishes. Many stores are closed however railway stations, airports, and some stores in Paris will remain open. New Year's Day was originally celebrated on March 15th on the old Roman Calendar but later on the holiday was moved to January 1st. That happened in 153 BCE.